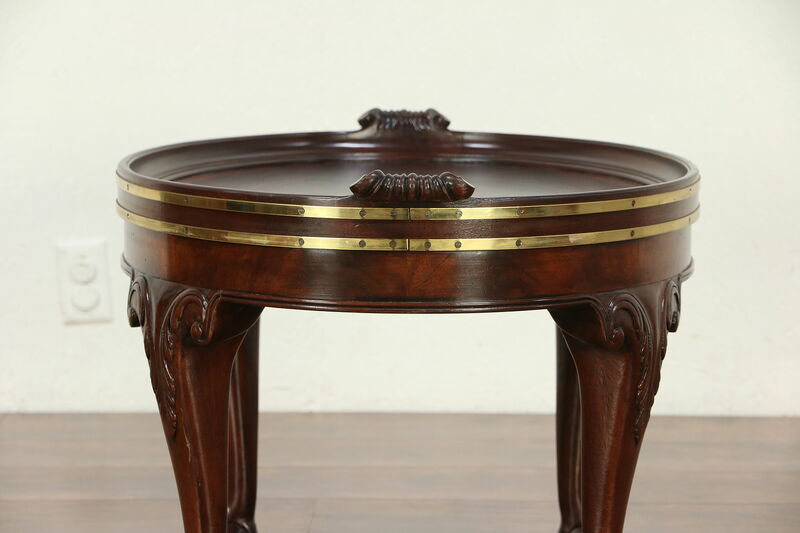 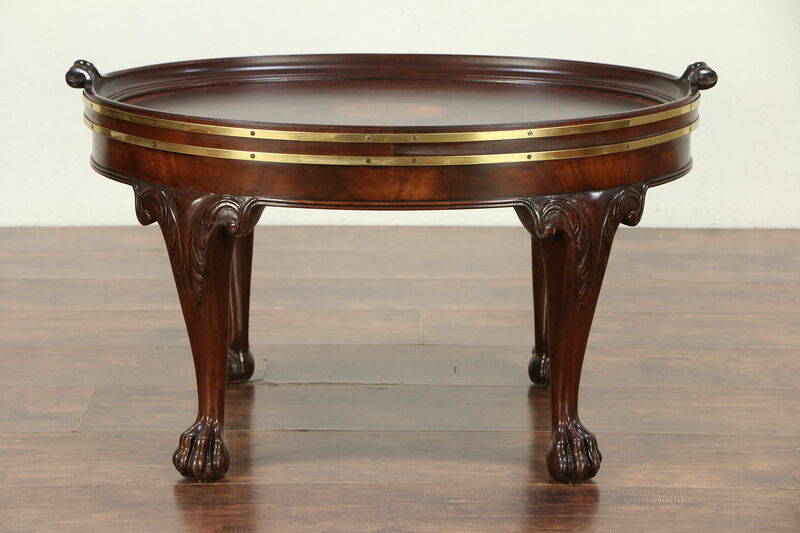 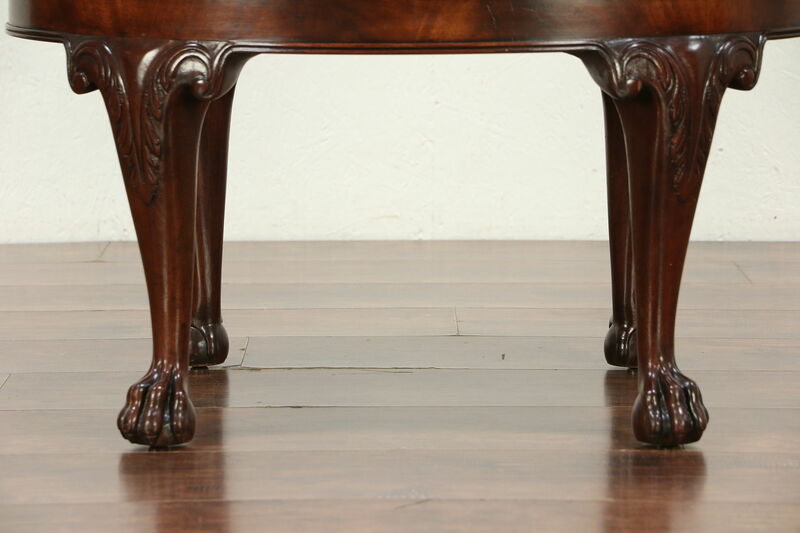 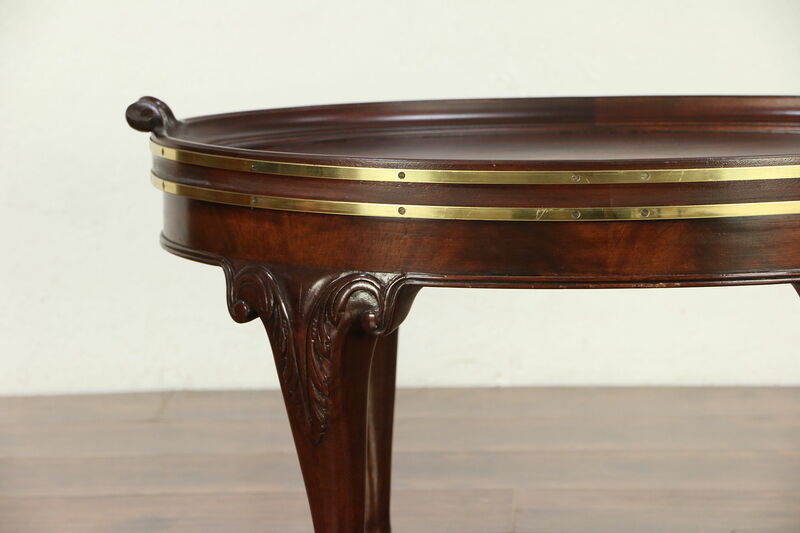 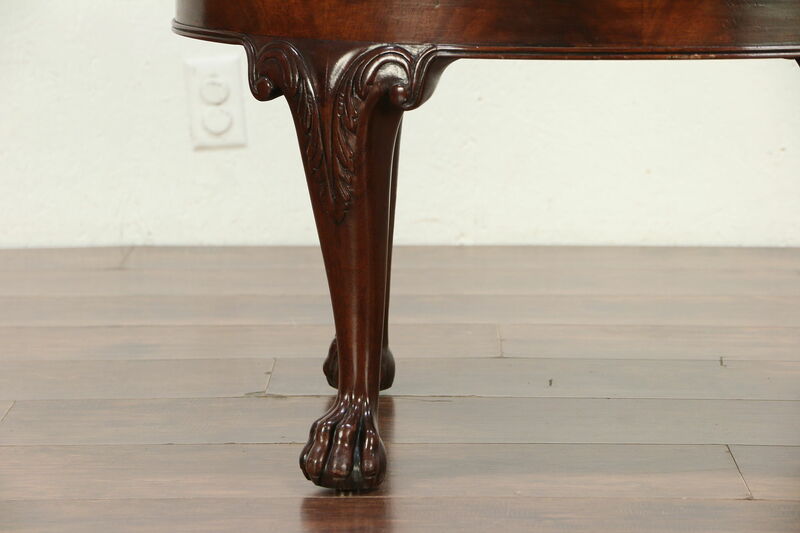 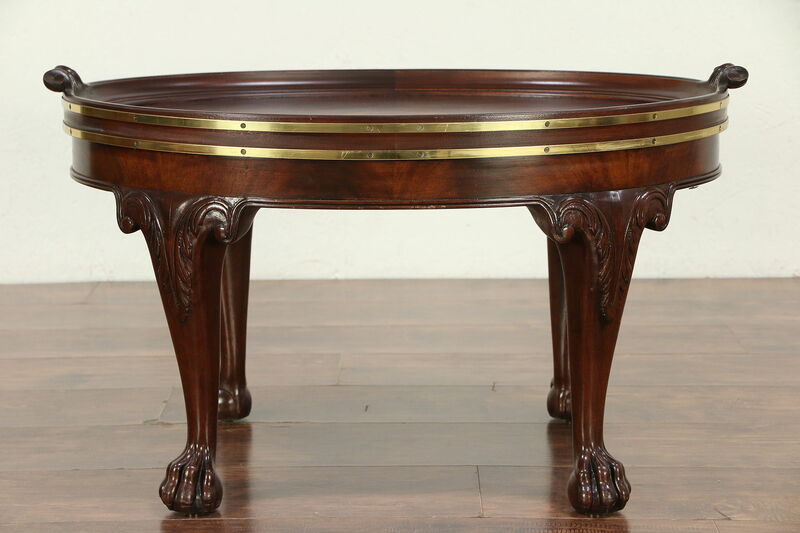 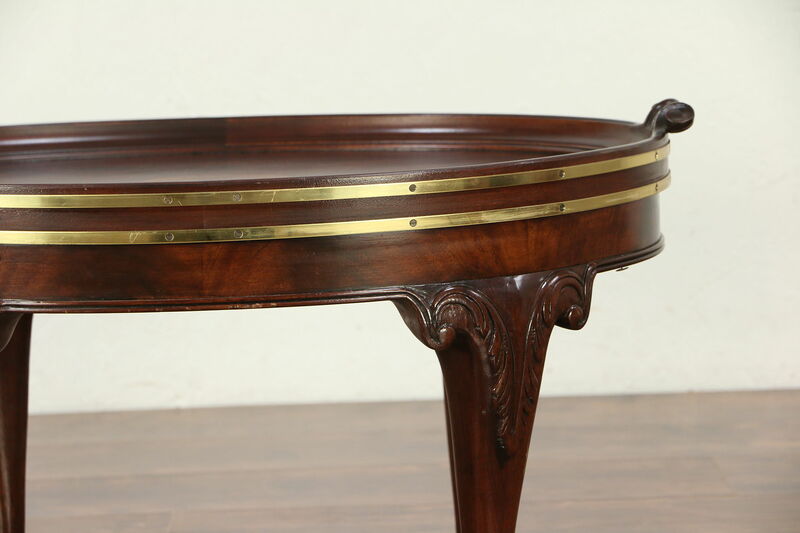 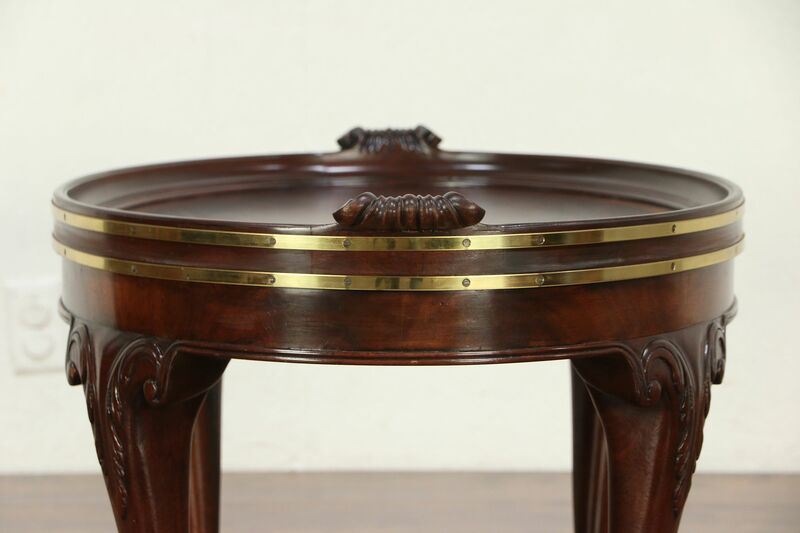 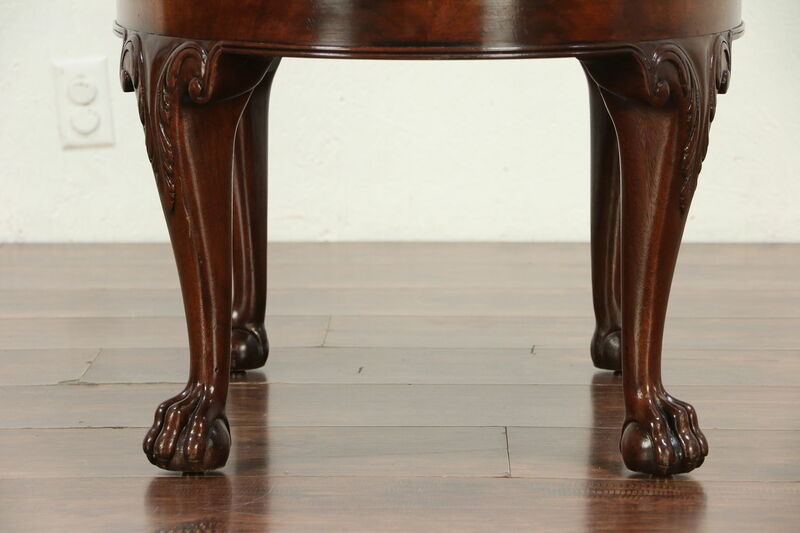 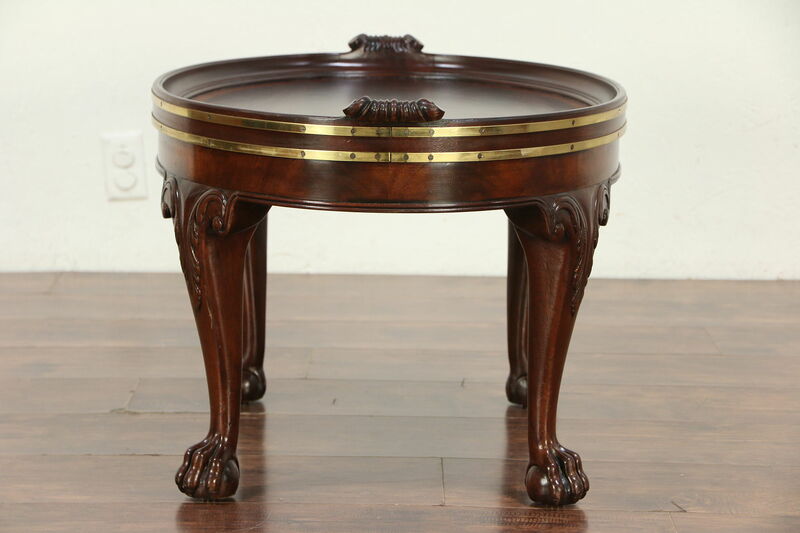 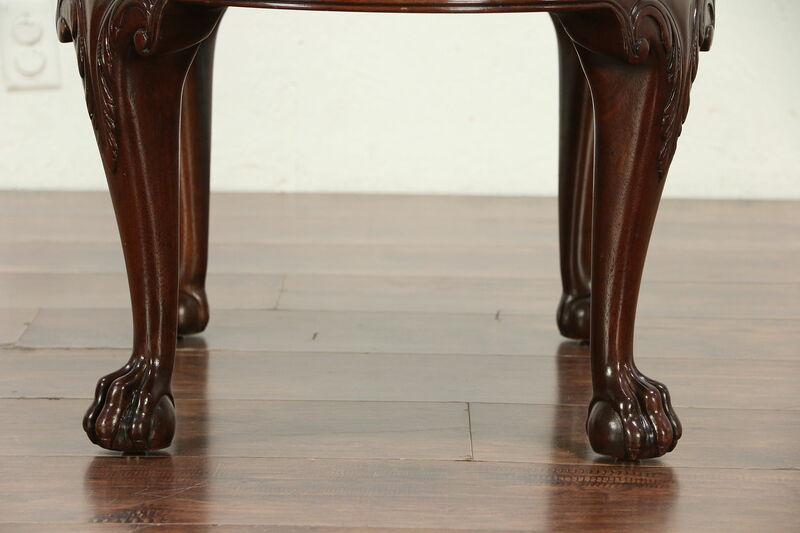 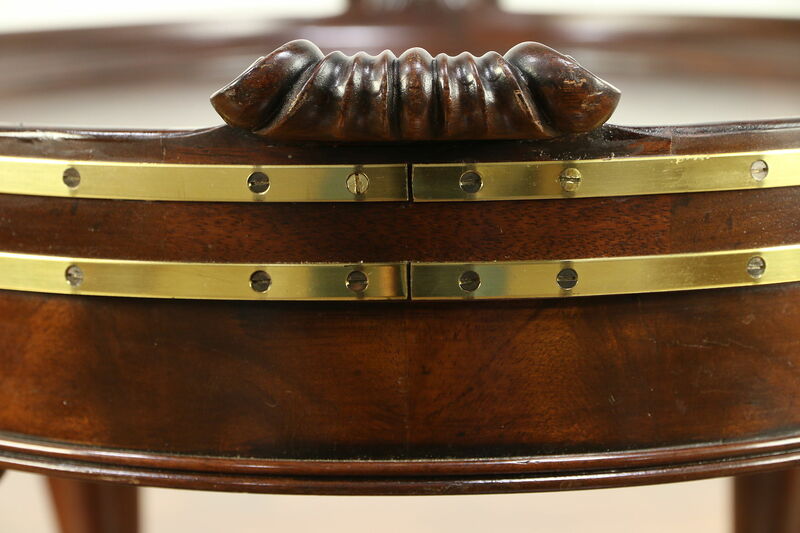 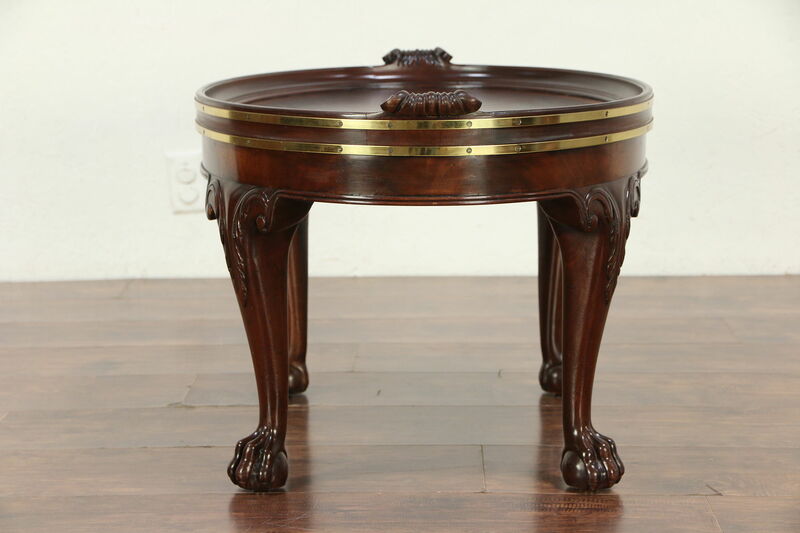 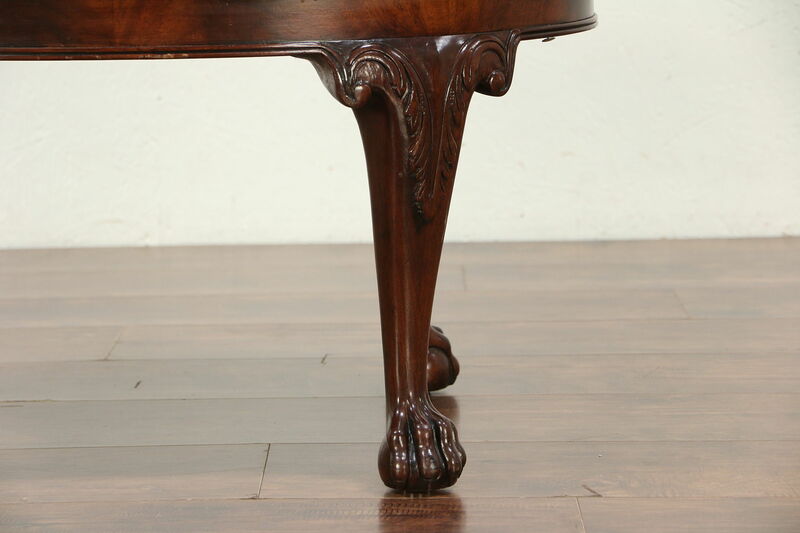 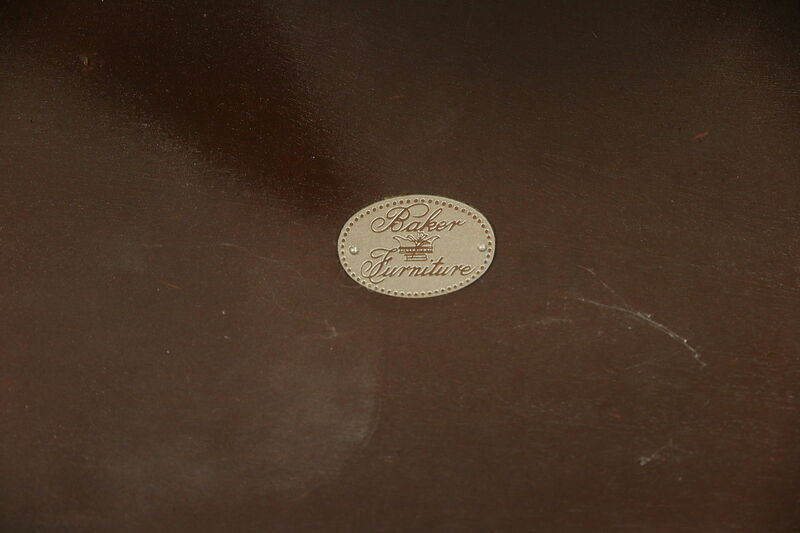 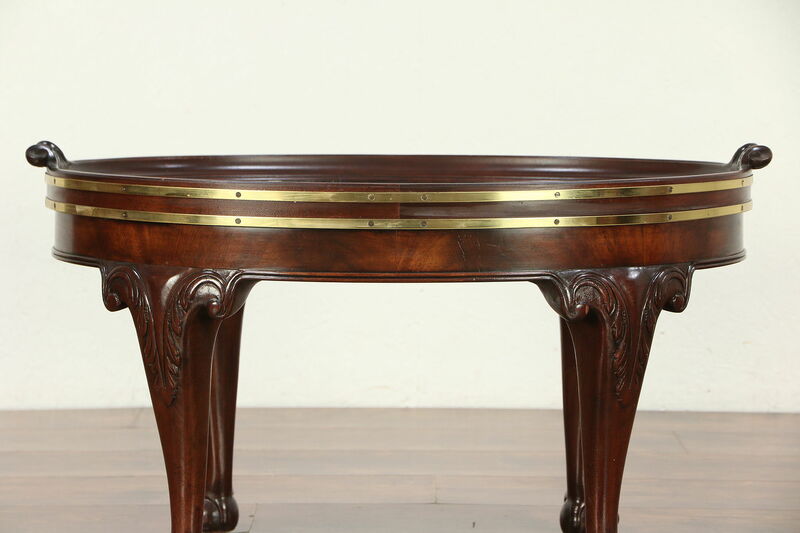 An elegant oval coffee table from about 30 years ago has carved paw feet and brass banding, signed by premier maker, "Baker." 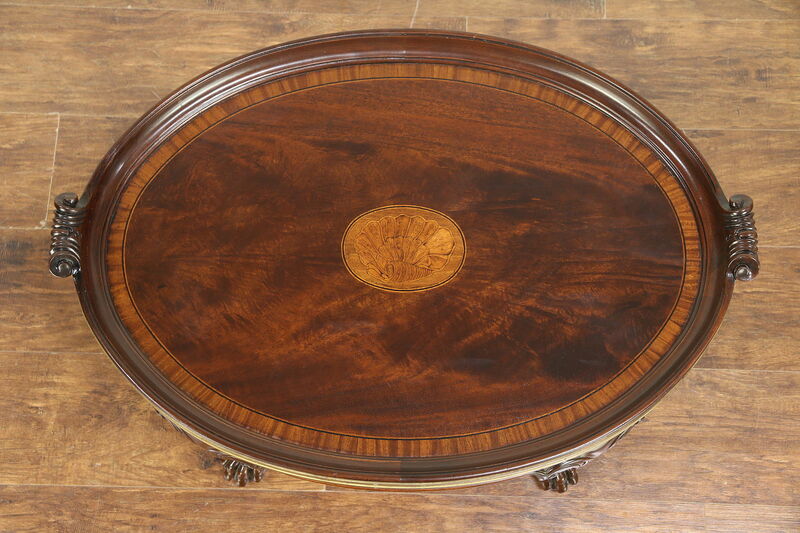 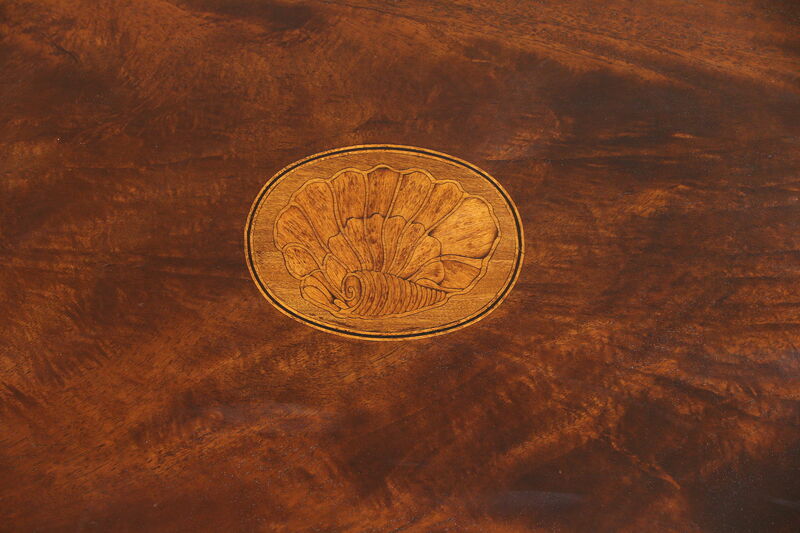 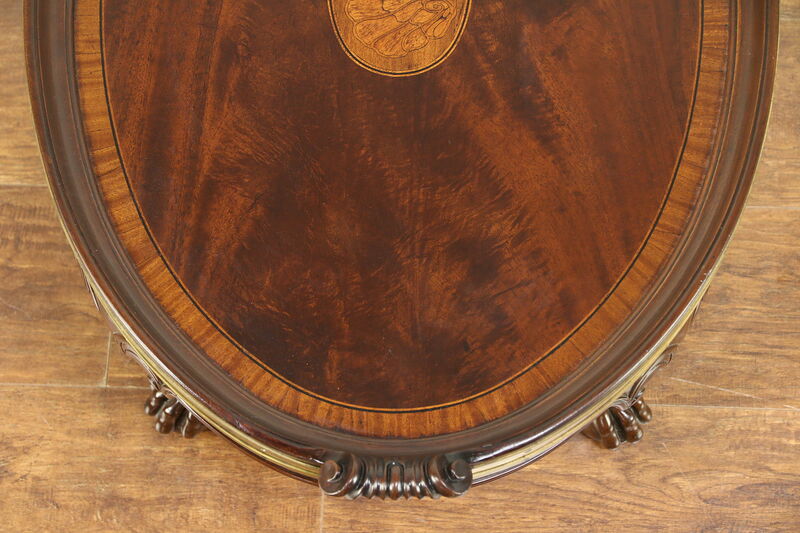 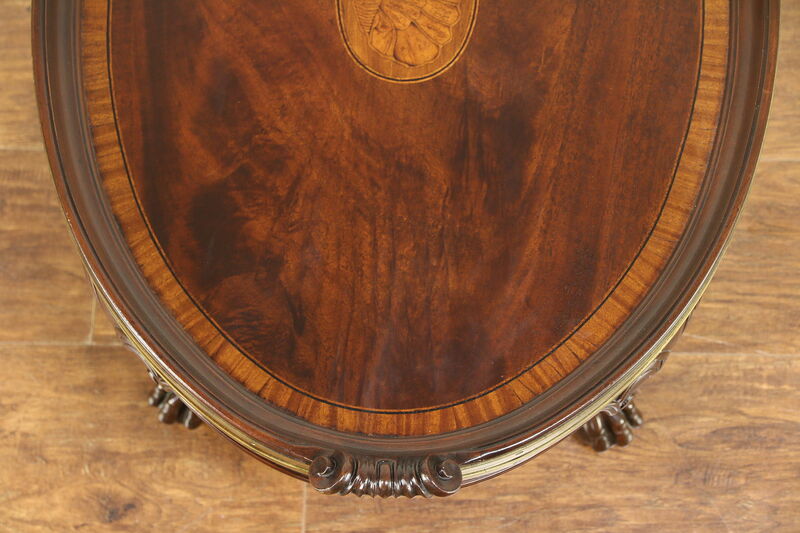 The top is inlaid with satinwood and ebony banding and a marquetry medallion. 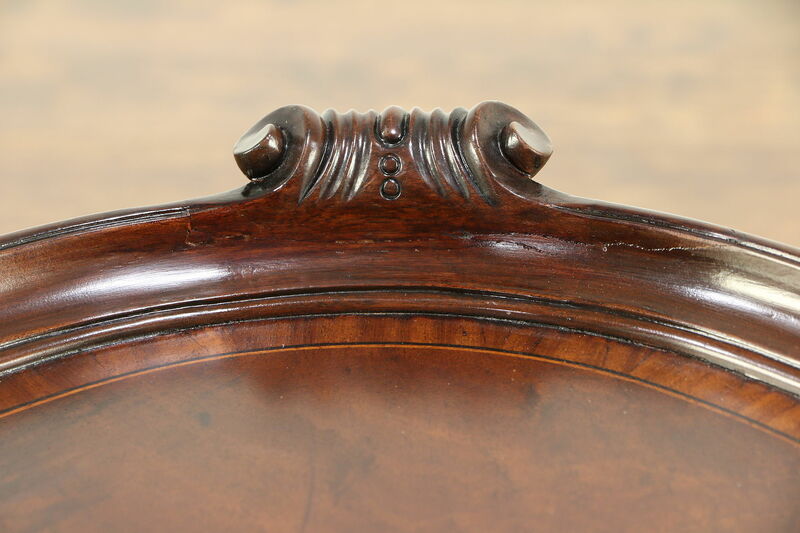 The restored finish is in excellent condition on this American made vintage furniture preserving a few mars at the edges and a repair to the handle, see photos. 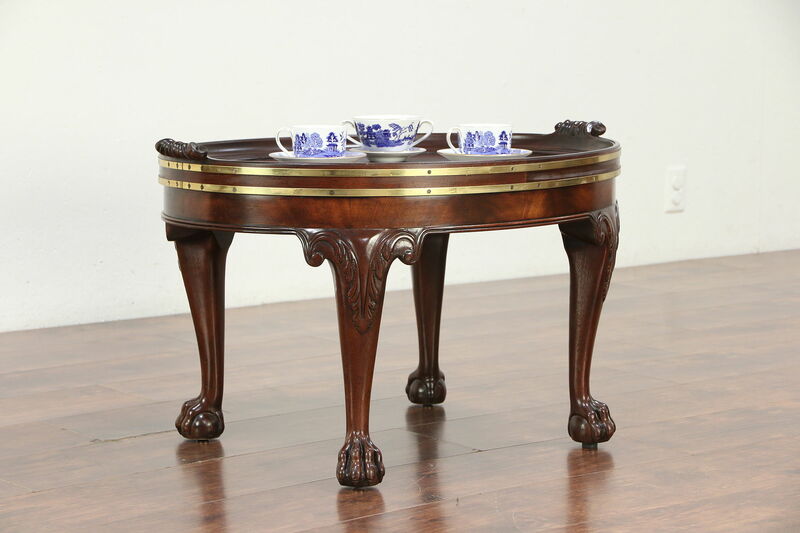 There are handles to carry this serving table. 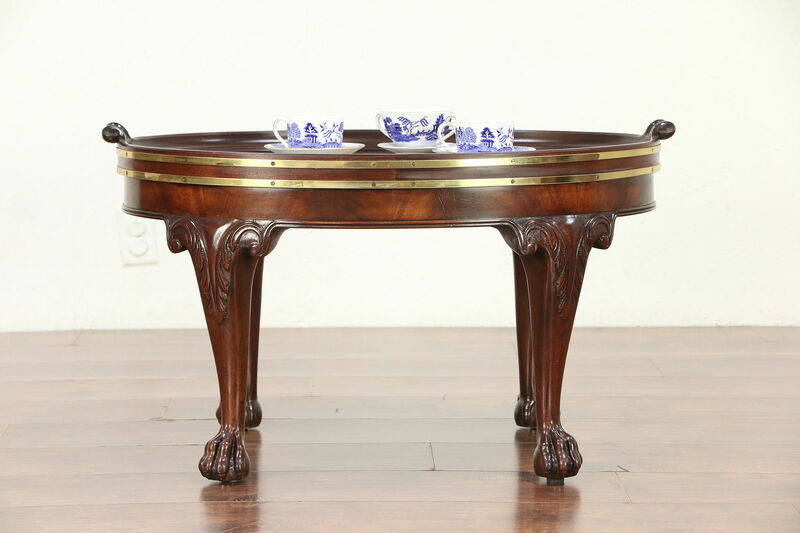 Size is 32" long, 22" wide and 18 1/2" tall including the handles.